On the first day of Royal Orient Train Tour we take you on Delhi sightseeing covering places such as India Gate, Rashtrapati Bhawan, majestic Red Fort, Qutab Minar, Raj Ghat, Laxmi Narayan Temple and various other attraction of Delhi. 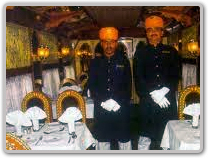 After Delhi sightseeing we transfer you to Delhi Cantt railway station to board the Royal Orient Train. This train arrive Chittaurgarh at 05.30 hrs, which is considered as the pride and glory of Rajasthan. This place echoes the stories of romance and valour deep routed in the tradition of Rajput. Chittaurgarh is known for its glorious past reflected in its ruined forts, palaces and chhatris. This train departs for Mehsana at 17.30 hrs. Royal Orient Train reaches Mehsana at 06.45. This place got its name from its founder Mahesaji, a ruler of Chavada dynasty. We take you to exciting places of Mehsana such as Sun Temple, Rani-Ki-Vav & Patola weaving centre. At 11.15 this train departs for Ahmadabad and arrive Ahmadabad at 12.45 hrs. This city was founded by Sultan Ahmed Shah in AD 1411 and it became an important business center during the Mughal period. But after the death of Aurangzeb the city began to decline. British set up many textile mills and today it is renowned worldwide due to its textile mills and is considered as the 'Manchester of the East'. Attractions of Ahmadabad include Gandhi Ashram, Calico Textile's Museum, Hathi Singh Jain Temple, and Sidi Sayyad's Mosque etc. Train departs for Sasan Gir at 20.15 hours. Train arrive Sasan Gir at 0800 hrs and we take you to lion sanctuary and if interested on Somnath Temple sightseeing. Later the train departs for Delwada where we take you to Ahmedpur Mandvi Beach, Diu Fort, and St. Paul Church and again it departs for Palitana at 2000 hrs. On reaching Palitana we take you to 863 Jain Temples situated at the top of Shatrunyaja Hills having 3,572 steps. Train departs for Sarkhej at 1200 hrs and again departs for Udaipur at 2230hrs. The train arrive Udaipur at 0750 hrs. Udaipur is set around the Pichola Lake and dominated by many historical palaces. One of the most magnificent palaces is the City Palace built in 1725, which is the ancient palace of the Mewar Royal Family. Other Udaipur attractions include Jagdish Temple, pleasure gardens, Tripolia Gates, Shilpgram, Saheliyon Ki Bari etc. Udaipur is certainly the most vibrant city of Rajasthan. 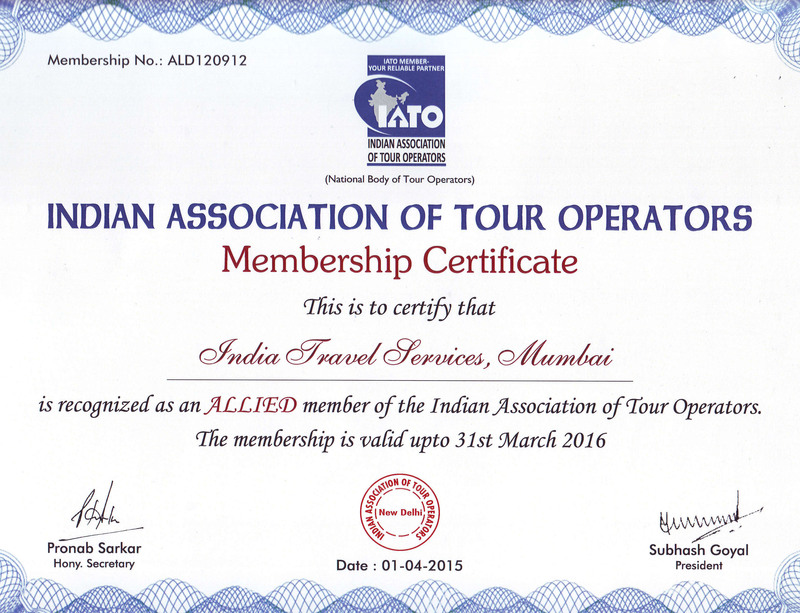 We also take you to Ranakpur Jain Temples and then transfer you to Udaipur for moving ahead to Jaipur. Train arrives Jaipur at 0750 hrs, which is the capital of Rajasthan and popularly known as the Pink City. In most of the historical monuments of Jaipur building there is an interesting play of red and pink colors. Jaipur has retained its glorious past and the city is still the same as Maharaja Sawai Jai Singh II had built it. Later we take you to Amber Fort, Hawa Mahal, and Jantar Mantar. The train departs for Delhi at 2155 hrs. This train arrive Delhi Cantt railway station at 0700 hrs and from here we transfer you to airport to board the flight of back home.